Want to learn how to make a bowdrill kit? Make a friction fire? Learn about fire, shelter building, plant identification,. and other survival basics through a Feralithics Ancestral Skills Workshop. Feralithics can harvest the following herbs and other plant materials for you on a per-order basis: Mugwort (Artemisia vulgaris), White Sage (Salvia apiana), Bearberry (Arctostaphylos uva-ursi), Lavender (Lavandula angustifolia), Bark from Paper Birch (Betula papyrifera), Bark, Fatwood, etc from Western Red Cedar (Thuja Plicata), Woody Mullein (Verbascum thapsus), and other special requests. We also provide fire kits, bones, and other natural materials - all sustainably harvested. 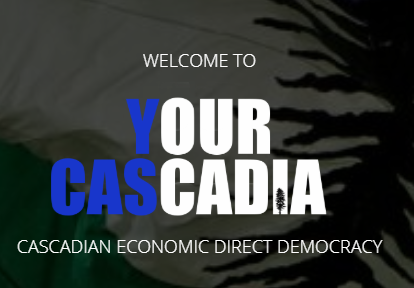 The Cascadia Integration Network is a “Meta-Cooperative” - a cooperative made up of many cooperatives. Feralithics is a founding member of this emerging bioregional collaboration. Jane McGonigal said it best. And we agree. Games can and will change the world. They already have, and now it's time to take that to the next level. The unprecedented dual crises of climate change and cultural upheaval require a concerted effort to reverse our collective trajectory and ford a new path ahead. Permaculture, sustainability, and bioremediation are our callings. Reconnecting with the natural world, sharing the infinite love and creativity of the human spirit, and enjoying this wonderful and magical existence - these are our dances. Would like to play a game with us? Edible forest gardens are one way to demonstrate what life could be like. Imagination is the key, but there are examples abound. We'd like to show you around. The Scout is an age-old archetypal role that many, if not all, cultures across the world have some variation of. Join us as we co-create a new and updated “way of the scout” for the new eco-conscious culture that is emerging in the Cascadian bioregion. Feralithics is a cooperative that embraces a new radiant, collaborative, and tribal way of being, which culminates in a habitat for at-risk youth to learn about and engage with the natural world, as well as a space for all community members to participate in permaculture, natural building, regenerative agriculture, ancestral skills, wilderness immersion, community building, and other critical living skills for today’s and tomorrow’s world. Despite our specific goals, we also contribute our energy to other parallel and complimentary projects around the Cascadia Bioregion. The aim is to start a community in the Pacific Northwest that will help to better ourselves and our world to the greatest extent possible. We're in the process of building tools for smarter, responsible trade, all facilitated by continuously optimizing direct democracy. Our collaborative revolution starts with you. Feralithics involvement in YourCacadia is specifically focused on gamification. Feralithics is proud to offer a Cob Oven Skills Building Workshop available for property hosts and curious students alike! All you need is your feet and your hands! Get ready to stomp your way to an oven! Our herbs are all sustainably harvested mindfully with ethnobotanical ethics and principles in mind. Most of the herbs are grown locally to Olympia, and the rest is wild harvested from the Cascadia bioregion. Bowdrill kit created by Josh D.